The moment you come home from the hospital with your bundle(s) of joy, your world completely changes. Your organized, clean, adult like home takes on a whole new persona from year to year. As your little one(s) grow, so do their toys. Amazingly, toys encourage children to manipulate, explore and imagine. No matter how they play and learn, toddlers and preschoolers will be building and reinforcing their vocabulary, making connections wherever they go. On a daily basis do you find random pieces, unsure as to where they belong? Well now you can control some of those pieces as your child(ren) plays on their mobile device. From the developers of Swam Soft, Woozzle Wood Puzzles for Toddlers was recently updated for your Apple device running iOS 4.0 or later. Have your toddler or pre-schooler piece back together 24 familiar objects from automobiles, food, animals and toys. Put your real world Melissa and Doug puzzle boards into one interactive application. Woozzle Wood Puzzle is very easy to navigate for the youngest of fingers. Upon entering, users will be presented with a main menu filled with colorfully decorated wooden squares. As puzzles are chosen by the user, they will magically break apart into several pieces. With appealing sounds, your child will feel like they have just shaken, rattled and rolled their puzzle apart. Your “work table” screen will have an etched out image which your child must fill and match with colored pieces from the bottom. Simply scroll, drag, and drop into place. As pieces are dropped correctly they will lock into place. However, if incorrectly placed they will bounce back to the bottom of the screen. Your child will be amazed at how puzzle pieces will merge together as one as smiles light up their faces when they are verbally rewarded. Verbal reinforcements can be set in 10 different languages ranging from English, French, Dutch, Japanese and Italian. A note to the developers – as puzzles are built, might it also be possible to incorporate the spoken vocabulary word as well. By integrating this into the application, users will be making both a visual and auditory connection through their manipulation. Since Woozzle Wood Puzzle’s is also targeted towards pre-schoolers, we wondered if an option might be added to the “settings” which would allow users to shake their device, making sized pieces different. Through this incorporation, users would begin to develop their critical thinking and problem solving skills. Overall, Woozzle Wood Puzzles for Toddlers is engaging as it has a great deal of potential in future updates. If you would like to learn more about the developers from Swan Soft, please visit their website here. Currently, Woozzle Wood Puzzles can be downloaded and added to your iTunes library of apps for .99¢ by simply clicking here. If your little one just can’t get enough Woozzle Puzzle time, then be sure to download their free coloring book as well here. This review is also featured at Fun Educational Apps site. 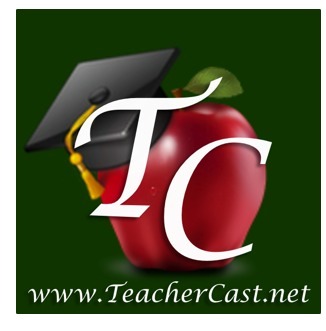 Visit their site to read this and many more educational app reviews. Have you ever played the card game Blackjack? It is one of the more popular casino games played all around the world. Known as a banking game in which the aim of the player is to achieve a hand whose points total nearer to 21 than the banker’s hand, but without exceeding 21. You might be wondering why I am referring to a casino game on an educational app review website. This is an excellent question! The game of Blackjack requires players to think on their toes, to add numbers quickly and to leave feeling like a winner. In January of this year, app developer William Gann, created a math application that is simply called 32. While reviewing this educational app, the card game Blackjack came to mind. This very fast paced educational game, 32, also requires players to be on their toes and to use a great deal of thinking in order to be successful. Designed for your iPad device running iOS 3.2 or later, late elementary to even adults will be challenged by this number game. Amazingly, it is filled with 5 levels of difficulty with over 200 mathematical puzzles in which players must use their higher order thinking skills as it meets a number of math standards along the way. Although there isn’t a banker per say, the objective is quite the same as Blackjack. The only difference, with only four to five cards, a players total must be equal to 32. Each level within the game builds upon the mathematical concept of the orders of operation. When solving an equation that implements multiple operations, there is a rule that one must follow. Like reading a book, we read from left to right. This same rule applies when solving a mathematical equation, while also keeping in mind what many educators and students know as PEMDAS. PEMDAS is short for “Please Excuse My Dear Aunt Sally” an acronym for: parenthesis, exponents, multiplication, division, adding and subtracting. Regardless of which level is chosen, players are timed, not in the traditional sense, but rather by point value. Upon entering a level, players will see 4-5 colored cards, a fill in the blank equation and a countdown in the upper left hand corner. The countdown begins, not surprisingly, at 3200 points. The quicker you drag and drop cards into the correct position, the more points you earn. Scores are stored within the application based on the highest points earned within each level. Come up to the chalkboard and show off what you know at each level. 32 is not difficult to navigate. As you enter the classroom, players will be provided general directions on “How to Play” as well as written tutorials upon entering each leveled game. Levels are clearly defined prior to game play. While manipulating cards and solving puzzles in levels 1 – 3, players will have access to only four moveable playing cards in which to get an equation equalling 32. It is important to note, that levels progressively incorporate the orders of operation. Level 1 – consists of puzzles involving only addition. Level 2 – consists of puzzles involving adding and subtracting. Level 3 – consists of puzzles involving adding, subtracting, multiplying, dividing and parentheses. Upon entering Level 4, players will immediately notice a slight change in the number of cards available. Instead of four moveable cards, players now have to manipulate and build an equation containing five numbers equalling 32. Puzzles in Level 4 contain the same available operations as level 3. The final challenge happens in Level 5, when players must manipulate four numbers to equal a total of 32 as it integrates all aspects of the orders of operation, exponents included. There are a number of things that Applicable2U likes about this math application. As software becomes obsolete due to more and more schools implementing mobile devices in school, an application like 32 will certainly have a place in a classroom, on the go, or at home. It very nicely fits the late elementary curriculum standards and can stimulate the oldest of minds. 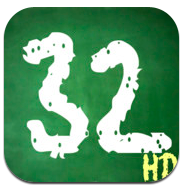 32 would work as a center activity or part of a whole group lesson with your iPad connected to a large screen projector as mathematical conversations are sparked. Or use just to stimulate ones mind at home in order to reinforce and master skills being taught at school. Although we are an advocate of the game, there are some things we hope the developers will take into consideration when looking at their next update. – Might it be possible for those just learning this mathematical skill or who need additional support to incorporate something like a video screencast or jing video modeling the solving procedures prior to playing. By integrating this added feature, your mobile application will be differentiating the learning for all students. – Also, have you thought about allowing for multiple accounts within the application. As puzzles are solved, might it be possible to include a username submission box which stores the Top 10 scores within each level. Thus showing progress made by multiple users. – For some students or users, the point value timer may be overwhelming. Might it be possible to set the timer as an option that can be set to on/off as needed. As suggested by one of our students, the point timer could even be invisible. It is not until the game is done that this numerical value appears. In addition, to continue on the theme of added support, might a scratch pad be made available in which users can jot down their work. As players moved onto levels 4 and 5, this scratch pad feature could become locked after so many attempts at opening it up. Overall, Applicable2u gives the educational math app 32, two thumbs up! We have been on the look out for supplemental activities to reinforce such math skills and believe that we have found a winner in 32!! We were amazed to see that it only costs .99¢ to download to our iPad device. If you would like to learn more about William Gann, please visit his website here. It’s time to stimulate your brain and apply known number facts as you follow the orders of operation while playing 32 in the palm of your hands, click here to download today! When you travel locally or globally, an item that is commonly seen on shelves are various types of snow globes. Spin it up and down, left or right and see a famous tourist attraction in a whole new way. With your mobile device or imaginary snow globe, come visit animals from all over the world. From developers, Knbmedia, Find Them All: Looking for Animals will guide children ages 2-8 as they journey through four natural habitats: a farm, Africa, Oceania, and Asia. This animal fact finding app is accessible on all Apple devices running iOS 3.0 or later. When downloading Find Them All: Looking for Animals, the initial cost is free and provides you access to one habitat, the farm. Additional habitats can be explored with an in-app purchase offering three additional locations for $1.99 each. Whether it’s day or night, use you keen senses of sight and sound to find as many animals as you possible can. Through the use of sounds, pictures and the incorporation of an “I Spy” game like feel, animal enthusiasts will enjoy the mobile and hands on experience that Find Them All: Looking for Animals will provide them. It’s early in the morning on the farm and the sun is out, ready to set your child or student on an investigation. What animal will the sun be thinking about? In a ‘thinking’ cloud, users will be given three pieces of information about the animal: a picture, name and sound. Using your finger tip, scroll from left to right in order to find the hidden animal(s). Applicable2U was pleased to see how developers included accommodations for all searching styles. For example, farms can be both big and small, initially as you explore, users will only have access to a small amount of acreage. As more animals are located, additional areas of the farm will be rewarded. As we explored, we also noticed that when hearing a clue the sound that the animal makes is rather faint. As we walked from left to right, if we happen to choose the right direction, the animal sound would get louder. Who knew that an educational app could tell if a player was getting closer or not, it was as if we were playing another familiar childhood clue game, “hot and cold”. Once animals are spotted in their environment, tap on them, a life like bobble head trading card will appear. Animal trading cards can be shared in French, English, Spanish and German. As users learn about animals and their habitat that live on a farm, in Africa, Oceania or Asia, they are also given an opportunity to say that animal’s name in other languages. Collect as many animals as you possibly can before nightfall and you might be rewarded with a digital camera. With this reward, zoom in and out on some or all of the animals you have been introduced to. Animal explorers will be amazed at what fun things can be done with their pictures even after the pictures are taken. Applicable2u will share only a few hints: personal animal album, interaction big and small while sharing tidbits of fun facts. The best part, it’s learning on the go with your device and a little printed out surprise which can be shared. As you navigate around the farm and night time approaches, there is no need to leave. The friendly sun is still visible, but her ‘thinking cloud’ is masked due to the darkness. Darkness can be a challenge no matter where you are. The visual supports once provided during the day are now gone. The only support available is that of the animal sound(s). Keep in mind the things that were heard and seen during the day. Luckily, app developers have included a night support feature, a night light. As humans our eyes enlarge and adjust to light, well so do our friends on the farm. As your child or student moves from one location to another, look out for the big eyed animals of the farm. Be sure to listen very carefully and tap the night light if you think you are nearing your target. Overall, Applicable2U was really impressed with the features and content that was included in Find Them All: Looking for Animals. This is an educational app that shares information, builds vocabulary, incorporates interactive games, and is user friendly as it encompasses several learning modalities. Once you are on the farm, you will want to further extend your visit into Africa, Oceania and Asia. To learn more about the developers of Knbmedia, please visit their website here. To start exploring your snow globe, then download Find Them All: Looking for Animals for free today from your iTunes library here.